A woman named Cleo works as a maid in Sofia’s middle-class house in Mexico City. Also residing in the household are Sofia’s husband, Antonio, their four children, her mother, Teresa, and another maid, Adela. When Antonio returns from a conference in Quebec, it’s clear that the marriage between him and Sofia has become strained, for he complains about every minor slight and lashes out at his loved ones. One day, he suddenly leaves Sofia, who chooses to keep this fact a secret from her kids. As this is going on, Cleo and Adela have some well-deserved time off. In the face of its contemporaries, Roma stands out in a number of ways. Most obviously is the fact that the film is shot in black-and-white. This is because Roma takes place in 1970 during the height of the Cold War. Director Alfonso Cuarón felt that the monochrome presentation was the ideal way to avoid a biased depiction of the period in question, noting how memories can be subjective and objective. This does make a lot of sense. Flashbacks or other scenes set in the past are often shown in black-and-white or in a sepia tone to evoke an “old world” feeling. Because filming in color was a luxury for the longest time, only big-budget productions could reasonably afford it. Everyone else, most notably news stations, had to make do without color until it became the universal standard. 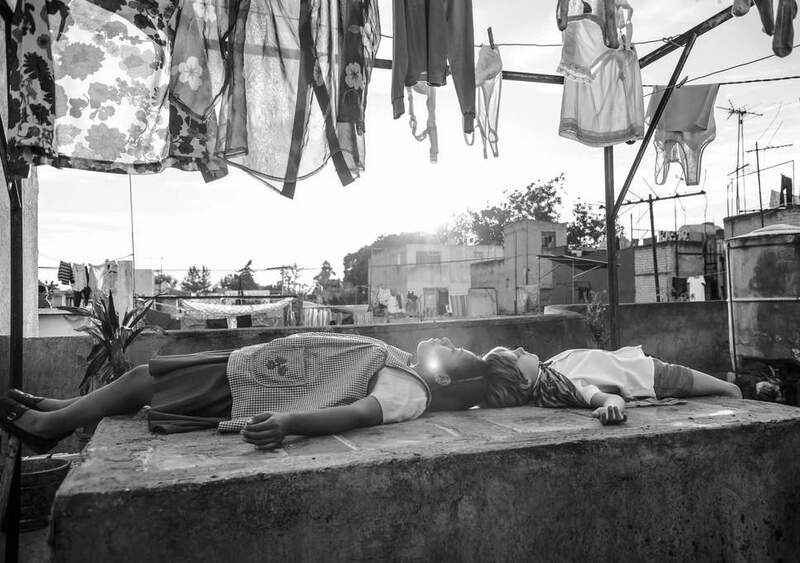 As such, by filming Roma in black-and-white, Mr. Cuarón presents his story as though he were describing real-life events. Roma also stands out from most films in that there is no score. The only music that exists in this world is diegetic. This aspect further enforces the film’s status as a fictional document or a window the audience can use to peer into the lives of others. All of these little touches were especially important for the kind of story Mr. Cuarón was about to tell, for Roma is considered to be his most personal film, heavily inspired by his childhood experiences. 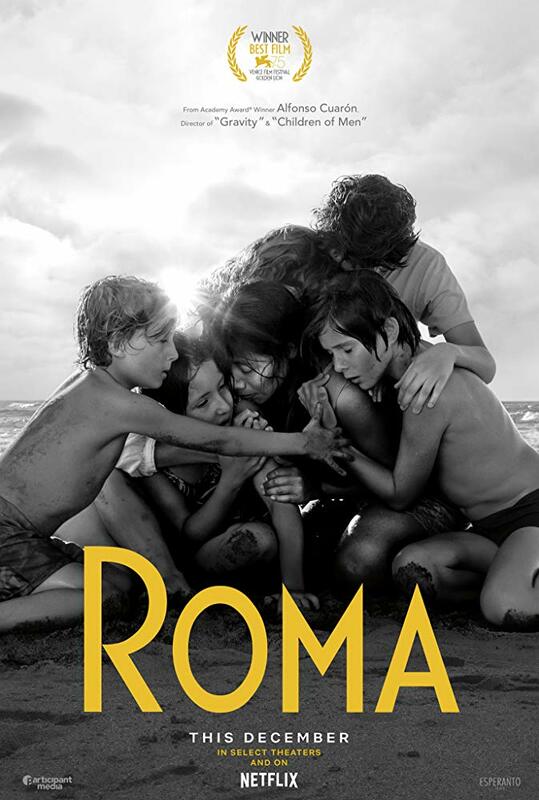 Being a slice-of-life film, Roma touches upon many themes. When the film begins, it’s clear that the household is falling apart at the seams. Sofia and Antonio’s marriage is about to end in a divorce, a fact that goes unnoticed by the children. The few times we see Antonio, he is belligerent to his loved ones, practically looking for excuses to get angry. Sofia, for her part, tries to keep the household together for the sake of her children, yet she knows she’s merely delaying the inevitable. When the two finally get a divorce and Antonio is allowed to take back his possessions, the house is left practically empty. Cleo’s own relationship with Fermín proves far from idyllic as well. At first, the relationship appears to be stable, but one setback is enough to break it beyond repair. Having not had her period in three months, Cleo tells Fermín that she believes she is pregnant as they watch a film. Mere minutes later, Fermín says he is going to the restroom. When Cleo leaves the theater, she discovers he is nowhere to be found. After confirming her pregnancy, she is able to track Fermín down with the help of Adela’s boyfriend. Unfortunately, Fermín refuses to acknowledge the baby is his and runs away, calling her a lowly servant. Though his actions, Fermín cements himself as a classic example of a man who was only in a sexual relationship for his own selfish, short-term benefit. The second he had to face repercussions for his actions, he leaves them and Cleo behind. What I particularly like about Roma as a slice-of-life story is how genuine it feels. All of the characters are believable; it never feels as though you’re watching actors, but rather real people going about their lives. I feel this even applies to the world in which the film is set. This is because in Roma, things just happen. An earthquake strikes a hospital nursery and rubble lands on top of a baby’s bin; the next scene shows the crosses. A little later, student demonstrators are slaughtered by a group of elite Mexican army soldiers known as Los Halcones. It would be named the Corpus Christi massacre due to taking place on the day of the eponymous festival. During the pandemonium, Fermín appears one last time to threaten Cleo with a gun before running off. At that exact moment, her water breaks. Amid the heavy traffic, she must endure an excruciating pain as her friends drive her to the hospital. Tragically, by the time they get there, it turns out the baby is stillborn. In many films, you get the sense that things happen because the plot depends on it. This isn’t true of Roma; just like in real life, there is no rhyme or reason for why things happen. While a protest turning violent and possible causing the protagonist to miscarry would be horribly contrived in a standard film, in Roma, it underscores how unpredictable life is. Fortunately, after an entire film of misfortunes, Cleo is ready to get a grip on her life, and this arc culminates in an incredible payoff. It occurs when Sofia’s family is taking a trip to the Tuxpan beaches. Two of Sofia’s children go out into the ocean and are nearly carried off by the currents. Despite not knowing how to swim, Cleo marches straight into the ocean and rescues both kids. Though quite a bit different in subject matter compared to Gravity, this scene demonstrates that when it comes to suspense, Mr. Cuarón hadn’t lost his touch. Don’t be surprised if you have trouble breathing watching it. Though the final shots reveal many of their possessions are gone thanks to Antonio, the family may have gained something even more valuable in the form of the reinforced love Sofia and her children have for Cleo. 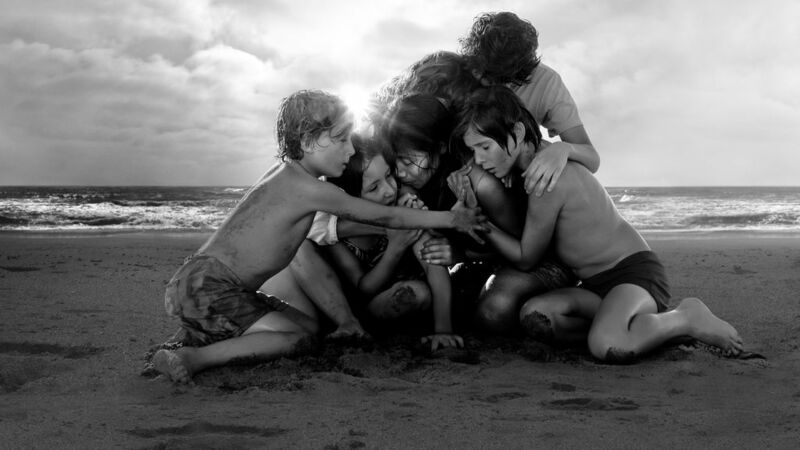 Roma was one of the most universally celebrated films of 2018. Though fans and critics had clashed numerous times throughout the year, Roma was a case in which they declared a truce, recognizing Roma as a masterpiece. Many people who had been following Alfonso Cuarón over the years through films such as Y Tu Mamá También and Gravity insisted that Roma was his magnum opus. I myself consider it well worth watching. Time and again Mr. Cuarón has proven himself a master filmmaker, and this kind of auteur personal, yet down-to-Earth auteur touch is something any medium could use more of.